Using lentils that are low in calories, packed with vitamins and minerals, and full of fiber, this recipes has a slightly sweet flavor that’s both light and delicious. 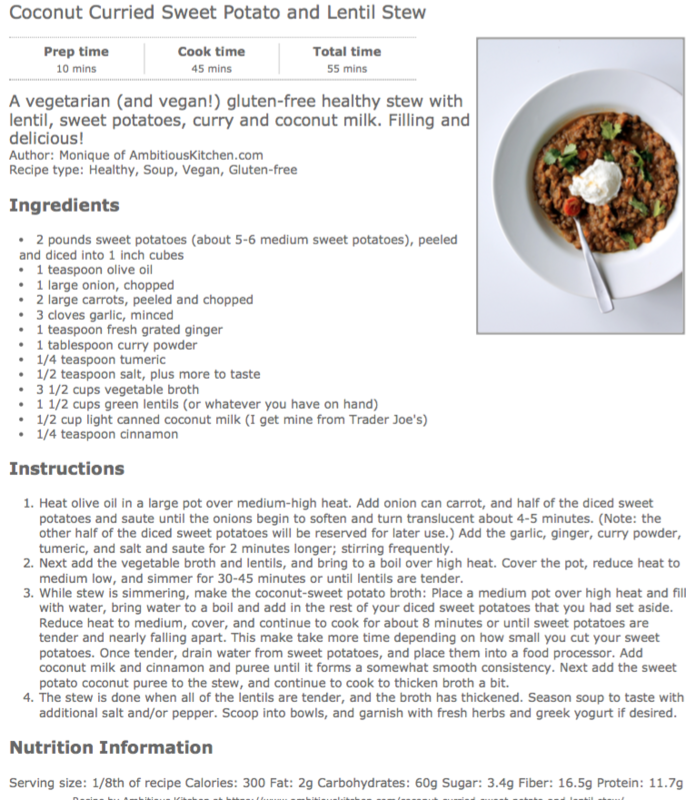 Combined with sweet potatoes and cinnamon, this vegan & gluten-free meal will fill your tummy until morning! Momentum Fitness will be re-opening at 2:30pm today. See you soon! Due to the impending snow storm and parking ban tomorrow…. Momentum Fitness will be closed until 1 hour after the parking ban is lifted. Stay safe and warm! Due to the impending storm and parking ban, Momentum Fitness will be closed Sat 3/2, except for scheduled appointments and classes. Sorry for any inconvenience. Momentum’s Exercise of the Week brings you a movement to help strengthen your core and maintain postural stability while moving the legs and arms, which will help prevent back strain during movement.